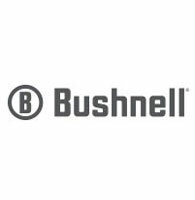 An industry leader in high-performance sports optics for more than 65 years, Bushnell is driven by a guiding principle to provide the highest quality, most reliable and affordable sports optics on the market. It is this commitment to quality and innovation that has made Bushnell the most recognized and reputable sports optics brand in the world. From astronomy to spectator sports and wildlife observation to hunting, Bushnell products are designed to enhance every outdoor pursuit. For more information about Bushnell products visit www.bushnell.com.